During Eating Disorders Awareness Week, we take the opportunity to list some useful resources for people who want to know more about what it is like to live with an eating disorder and what can be done to help. B-eat, the UK charity for eating disorders, has organised an event for tomorrow, called "Sock it to Eating Disorders": you can wear silly socks for a day! B-eat has also just released a report of the costs of eating disorders to the UK economy, which you can read about and download here. The Mental Health Foundation website and the website of Mind, the mental health charity, are a good source of information about eating disorders in general. The MHF features the story of Casey that illustrates the difficulties of people facing eating disorders in receiving adequate support. Mind features the story of Hope, who writes about her time in an adolescent psychiatric unit. There are several blogs dealing with eating disorders from different perspectives you may want to visit. Here is a small sample: Eating Disorders Blogs, Does Every Woman Has an Eating Disorder?, Laura's Soap Box, Make Peace with Food. There are also several publications that deal with the issue of eating disorders, from the perspective of philosophy, psychology, fiction. 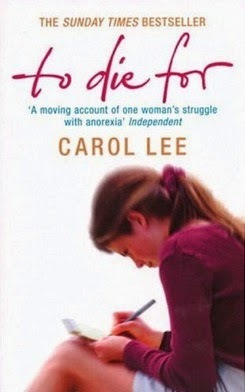 One is Carol Lee's To Die For (Arrow, 2005), where the author, who is also a journalist and an educator, tells the story of a young woman's struggle with anorexia. 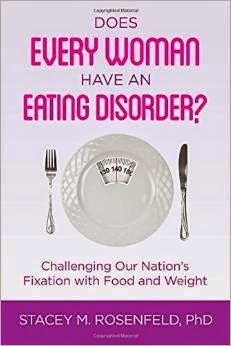 Another is Stacey Rosenfeld's Does Every Woman Have an Eating Disorder? (Siena Moon, 2014), where the author, a clinical psychologist helping people develop healthier relationships with food and their bodies, explores the collective responsibility of media/advertising, the diet industry, the language around food and weight, celebrity worship, the obesity crisis, and women’s roles in the world. In Understanding Eating Disorders (Oxford University Press, 2005), philosopher Simona Giordano, reader at the University of Manchester, explores the relationship that people have with food and their own body by looking at genetics and neurophysiology, sociology and family studies, clinical psychology and psychiatry, and frames abnormal eating at the extreme of a spectrum of normal behaviours. 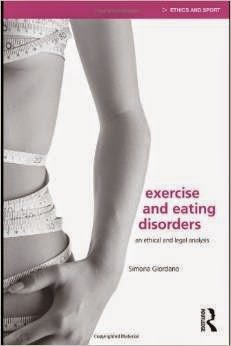 Simona also has a more recent book on the topic, Exercise and Eating Disorders (Routledge, 2010), where she considers the relationship between exercise and eating disorders from an ethical and legal point of view. There are some good research papers on philosophical issues surrounding anorexia -- thanks to Hanna Pickard for these helpful suggestions! You can have a look at Jill Craigie's piece on 'Competence, Practical Rationality, and What a Patient Values' in Bioethics (2011); and at Hope et al. 's article on 'Agency, ambivalence and authenticity: the many ways in which anorexia nervosa can affect autonomy' in the International Journal of Law in Context (2013). If you have further suggestions, please share them with us in the comments! Really interesting. I didn’t know any of the titles you mention – nor indeed I knew about the Eating Disorders Awareness Week… Thank you for making me aware of all this! Bordo, Susan. 1993. Anorexia nervosa. In her Unbearable Weight: Feminism, Western Culture, and the Body. Berkeley: University of California Press. Bordo, Susan. 1993. Reading the slender body. In her Unbearable Weight: Feminism, Western Culture, and the Body. Berkeley: University of California Press. Frederick, C., Grow, V. 1996. A mediational model of autonomy, self-esteem, and eating disordered attitudes and behaviors. Psychology of Women Quarterly 20, pp. 217—228. McNally, Richard. 2001. On Wakefield’s harmful dysfunction analysis of mental disorder. Behaviour, Research, and Therapy 39, pp. 309—314. Snyder, R., Hasbrouk, L. 1996. Feminist identity, gender traits, and symptoms of disturbed eating among college women. Psychology of Women Quarterly 20, pp. 593—598. Wakefield, Jerome. 1992. The concept of a mental disorder. American Psychologist 47 (3), pp. 373—388. Wonderful, thank you so much Anna! What are the Benefits of Memory Distortion? Can Evolution get us off the Hook?